I did really well on a low carb diet initially, but my fat loss seems to have stalled. What gives? What should I do now? If protein is insulinogenic should I actively avoid protein as well as carbs if my goal is to reduce insulin because low insulin = weight loss? If eating more fat helped kick start my weight loss journey, then why does eating more fat seem to make me gain weight now? This article outlines some quantitative parameters around these contentious questions and helps you chose the most appropriate nutritional approach. Coming from a diabetes headspace, I’ve seen firsthand the power of a low carb diet in reducing blood glucose and insulin levels. As a Type 1 Diabetic, my wife Moni has been above to halve her insulin dose with a massive improvement in energy levels, body composition and mood. If your blood glucose levels are high, then chances are your insulin levels are also high. Insulin is the hormonal “switch” that causes us to store excess energy as body fat in times of plenty. Lower levels of insulin in times of food scarcity then enable us to access to the stored energy on our body. You can actively manage the fat storing potential of your diet by managing the insulin load of the food you eat. Having high blood glucose levels is bad news. The chart below shows the correlation between HbA1c (a measure of your average glucose levels over three months) and the diseases that will kill most of us, cardiovascular disease, coronary heart disease and stroke. It makes a lot of sense to do whatever it takes to reduce our blood glucose to the levels of a metabolically healthy person to postpone the major diseases of aging. You may have seen this ‘optimal ketone zone’ chart from Volek and Phinney’s ‘Art and Science of Low Carb Living’. The problem however with this chart is that it is difficult for most people to achieve “optimal ketone levels” (i.e. 1.5 to 3.0mmol/L) without fasting for a number of days or making a special effort to eat a lot of additional dietary fat (which may be counterproductive in the long run if you’re trying to lose weight). Recently I had the privilege of having Steve Phinney stay at our house when he spoke at a Low Carb Down Under event in Brisbane (btw, he’s also a passionate cook if you let him loose in the kitchen). I quizzed Steve about the background to his optimal ketosis chart. He said it was based on two studies, one with cyclists who the adapted to ketosis over a period of six weeks and another ketogenic weight loss study. In both cases these ‘optimal ketone levels’ (i.e. between 1.5 to 3.0mmol/L) were observed in people who were transitioning into a state of nutritional ketosis. Since the publication of this chart in the Art and Science books, Phinney has noted that well trained athletes who are long term fat adapted (e.g. the low carb athletes in the FASTER study) actually show lower levels of ketones than might be expected. It appears that over time many people, particularly athletes, move beyond simple keto adaption and are able to utilise fat as fuel even more efficiently and their ketone levels reduce further. Metabolically flexible people are able to access and burn fat efficiently and hence only release free fatty acids or ketones into the bloodstream when they need the energy. If you’re metabolically healthy and can call on your fat stores as required there’s no need to be walking around with super high levels of glucose or ketones. If you’ve been following a ketogenic diet for a while and/or are metabolically healthy then your ketone levels may not be as high as you might expect from looking at Volek and Phinney’s “optimal ketone zone” chart. And as discussed in my Alkaline Diet vs Acidic Ketones article, higher ketone levels could even be an indication that you have some level of metabolic acidosis. People with untreated Type 1 Diabetes have very high ketone as well as blood glucose levels at the same time (i.e. ketoacidosis). Phinney says he does not condone the “adolescent behaviour” of competing to see how high you can get your ketone levels and warns that you can risk a loss of lean body mass by chasing high ketone levels with an inappropriately low insulin load approach (i.e. very low carb and very low protein). People with higher NAD+ levels (an important coenzyme which declines with ageing) and lower NADH levels are more likely to produce more breath acetone (which can be measured with the Ketonix) and fewer BHB ketones in the blood. Hence, higher consistent levels of breath acetone may be a more useful indicator than blood ketones that you are burning fat rather than just eating fat. While I think it’s good to have some ketones in the blood as an indication that your insulin levels aren’t too high, it can be hard to interpret what high or low level of blood ketones mean. minus the BHB being used by your muscles, heart and brain. High blood ketones could mean that your insulin levels are low and your level of lipolysis is high (i.e. lots of fat is being released from your body). In this case, high ketones are an indicator of metabolic health and may facilitate healthy appetite regulation and enable you to burn your stored body fat. However, high blood ketone levels could also mean that you are eating a lot of dietary fat (or consuming a lot of exogenous ketones) and your body isn’t well adapted to using ketones for fuel and hence unused ketones are building up in your blood stream. If this is the case, then loading up with more dietary fat in the pursuit of higher ketone levels may cause you to become more insulin resistant and inflamed as your ketone levels rise but the fat is not yet able to be efficiently oxidised for fuel. The plot below shows a compilation of glucose and ketone values from a range of people following a low carb or “ketogenic” diet. It seems that the most metabolically healthy people have low blood glucose levels and moderate ketones at rest, however they can easily access plenty of glucose and fat from the body when required. It makes sense to me from an evolutionary perspective that someone who is healthy would be able to conserve energy when not active (i.e. hiding in a cave) but then be able to quickly access stored energy when required (i.e. when being chased by a sabre-toothed tiger). The body doesn’t always need super high blood ketone levels and hence we secrete insulin to remove both glucose and ketones back into storage. The exception to this seems to be in periods of extended fasting when the body is on high alert and we are in a super-fuelled state ready to chase down some food at a moment’s notice. So, unless you’re fasting or exercising intensely, it seems that having a lower total energy (i.e. blood glucose plus blood ketones) might be a better place to be rather than having super high ketone levels. I think we become less ketogenic with further adaptation simply because as we improve our ability to utilize the fat we create spin off glucose from both glycerol and acetone that goes to restore beta oxidation of fatty acids. The spin of glucose provides oxaloacetate and restores Krebs function in the liver and reduces ketogenesis in favour of complete oxidation of acetyl-CoA. In short, ketogenesis is a transitional state, not the end goal. Ketones will be lower if you’re fit. Even Phinney has said that very adapted individuals are in ketosis starting at 0.3mmol. Look at how robust the GNG is in the low carb guys in the FASTER study. It is a direct result of the nearly doubled rate of fat oxidation. All of the glycerol when fat is oxidised has to go somewhere and it is used to make glucose. This glucose is then used to restore the Krebs cycle which means that the can make even better use of fat etc, but reduces GNG via traditional means and in turn reduces ketogenesis. It’s a system that feeds into itself. The better fat burner you are, the more glucose you make from fat, the better you are at fat burning and so on. So overall, measuring blood ketones is intriguing, but not always the most reliable measure of where your metabolic health status. Moreover, eating more dietary fat in an effort to raise your blood ketone levels is no guarantee that you’re going to lose body fat. You may be “ketogenic” in that you are able to generate ketones, though they may not necessarily show up in high levels in the blood if you are also athletic and able to use your blood glucose and ketones effectively for energy. someone who is metabolically healthy. The table below shows the HbA1c incident rates for cardiovascular disease, stroke and coronary heart disease from the chart above to average blood glucose levels and the corresponding ketone levels and glucose : ketone index values. This gives us a useful understanding of what different HbA1c risk levels look like in terms of average blood glucose levels, ketones and the glucose : ketone index. While it can be interesting to measure ketones, as a general rule, if you have consistently high blood glucose levels you are likely to be insulin resistant and hence will benefit from a higher fat dietary approach. If you have high insulin and glucose levels, when transitioning to a high fat diet your glucose and insulin levels will likely plummet to be closer to the levels of a metabolically healthy person and suddenly you will be able to access your body fat stores for fuel. You might quickly find yourself losing weight like it was magic and you’ll think the keto diet is the best thing ever! Amazingly, lots of people find that they can “eat fat to satiety” and still lose weight (at least during this initial stage). For the last four decades we’ve been told to avoid fat, particularly saturated fat. Imagine the excitement, enthusiasm, and maybe even anger, when someone who has been avoiding fat finds that they suddenly start losing weight when the do the opposite to what they’ve been told to do! The problem with adding more dietary fat is that it works until it doesn’t. Let’s say (based on the levels of metabolic health in the table above) you are able to successfully “level up” from the “danger zone” though “good” blood glucose control to “excellent” blood glucose levels with a high fat dietary approach, but then your weight loss slows and then stops well short of your optimal body fat levels. Do you listen to the people who say you should eat more fat or the people who say you should eat less fat? It can be confusing on the interwebs! I think the answer depends largely on whether you are insulin resistant or insulin sensitive. You should ‘level up’ to the most nutrient dense nutritional approach that your current level of insulin sensitivity allows. It’s worth noting that while many people can achieve ‘excellent’ blood glucose levels through dietary manipulation, the people that I’ve seen get to truly optimal blood glucose control tend to be working hard with both their nutrition and training to maximise their lean body mass. what is insulin resistance anyway? In order to understand what we need to do when we stop losing weight on keto I think it’s important to understand what causes insulin resistance. Many people think that people who are fat are simply insulin resistant. This is partly true. However, while insulin resistance and obesity are related, it’s not quite that simple. It’s useful to understand the difference. A metabolically flexible insulin sensitive person stores excess energy eaten for later use in the fat stores on the body (i.e. adipose tissue). When they stop eating, someone who is insulin sensitive will experience a drop in blood glucose and insulin levels and stored body fat will be released. For the lucky people who are insulin sensitive, calories in calories out (CICO) largely works as advertised. They find it difficult to depart far from a healthy set point weight without a change in diet quality or insulin load. However, as we keep eating more and more low nutrient density foods to obtain the micronutrients we need, we get to a point where the adipose tissue can no longer hold all that excess energy and starts to channel it into the organs because the fat stores are full. The body knows that this isn’t such a great idea though because our vital organs are, well, vital, so the body becomes insulin resistant as a defence mechanism to avoid damage to vital organs, and hence the levels of sugar in our blood rise to avoid storing the extra energy in the organs. The body even starts dumping the excess sugar into the urine to avoid having to pump it into the liver, pancreas, eyes and brain. The a of the major problems with insulin resistance is appetite dysregulation. That is, when you are insulin resistant your insulin levels stay higher for longer which then makes it harder for you to access your body fat for fuel between meals. As shown in this chart, if your blood glucose levels are high the release of fat from your body (ketones) will be low, ghrelin will kick in, and it will be hard to go very long without food. Your appetite will be more likely to win out over your willpower and thus make it hard to lose weight if your insulin levels are high. Once our appetite is restored and we can more easily access our own body fat I think we need to change focus, especially if adding more fat isn’t moving you toward your weight loss goals. Once your blood glucose levels are normalised but you’re stuck on a plateau and not sure where to turn I think it’s a good idea to turn your focus to chasing nutrients rather than ketones or even worrying about blood glucose levels quite so much. As your blood glucose and insulin levels decrease, you should be able to release more body fat stores and hence have less need for dietary fat. When we focus on balancing micronutrients macronutrients largely look after themselves. As well as adequate energy, the body works hard to make sure it gets the nutrients it needs to thrive. The vitamins and minerals that come with whole foods are like the spark that ignites the fuel they contain. We always get ourselves into trouble when we separate nutrients from energy. While refined sugars and grains are particularly problematic because they spike insulin, neither refined sugars or purified fats contain the same level of nutrients necessary to power our mitochondria that whole foods do. The problem comes when we eat nutrient poor foods. We are left with a residual need for nutrients that are required to convert our food into energy (ATP). Our appetite will drive us to seek out more food to obtain the required nutrients. If we don’t get enough amino acids to prevent loss of lean muscle mass the body will also up-regulate appetite (i.e. protein leverage hypothesis). While we can track our food intake to try to actively manage our energy intake, in the end, appetite, driven by the body’s need for nutrients, tends to win out. Even if we are successful in limiting our intake, our body senses an energy crisis and slows down to make sure it has enough energy and stored fat to run our inefficient metabolism. However, when we consume whole foods with a higher nutrient density our appetite tends to be satisfied with less energy because it can run more efficiently with an optimal balance of the nutrients it needs. If we want to lose weight we need to find a way to provide the body with the nutrients it needs to function optimally with the minimum amount of energy intake while still maintaining low enough blood glucose and insulin levels to allow energy to flow out of our fat stores. LCHF says calories don’t matter. But I still gain weight even when in ketosis. What’s up with that? I have tons of patients who absolutely plateau out on this diet. Everyone who goes on LCHF loses a ton of weight, and then hits a plateau. This is extremely common. Almost universal. If you eat enough fat, the flow of fat into your adipose sites will equal the flow of fat out of your adipose sites and you’re just going to plateau. My number one priority is nutrient density. Eat less fat bombs and instead eat the highest nutrient density foods you possibly can and then more of the fat that you’re burning comes from your internal body stores. I recommend really high fat diets for people who are really glucose dependent to help them get fat adapted. Then, once you have reached your ideal body weight you have to eat a high fat diet then as well because you’re burning fat. But there is a period in the middle when you’re plateaued when you do want to eat less fat because you want your fat to come off stored body fat. are you really insulin resistant? I think the critical question here is whether you are really insulin resistant. The most useful measure is simply to test your blood glucose levels. If you have been diagnosed with diabetes, then you will have a glucose meter and you’ll be able to easily test your blood glucose levels to know where you’re at. Glucometers are fairly cheap to purchase and often come with a rebate. At the same time, many skinny people are actually insulin resistant (TOFI). It of depends on how much energy your belly is willing to store before it starts pumping the excess fat into your vital organs. The irony here is that you may look healthier if you are skinny, but it may mean that your adipose tissue is able to store less energy before it transitions to start storing excess energy in your vital organs. For those of you that don’t like testing your blood glucose level I have outlined a number of other ways to determine whether you are actually insulin resistant. This understanding can then be used to understand whether you may need more or less dietary fat. An Oral Glucose Tolerance Test (OGTT) is the generally accepted medical test for insulin resistance and diabetes. An OGTT measures someone’s rise in blood glucose in response to a large amount of ingested glucose. If it goes up too much after a standard amount of glucose then you are deemed to be insulin resistant. The problem is most people following a low carb approach will likely fail an OGTT because of physiological insulin resistance. Someone following a low carb diet won’t have a lot of insulin circulating in their body, so when they ingest a large amount of fast acting glucose their pancreas will respond from a “standing start” and has to pump out a lot of insulin to respond to the glucose. The glucose levels of someone following a low carb dietary approach may rise quite a lot before the pancreas can catch up. By comparison, someone eating more carbohydrates would have higher levels of insulin circulating that will act on the glucose as soon as it was ingested with only a little bit of extra insulin needing to be secreted in response to the food and hence the glucose response would be lower. A Kraft Insulin Assay, which measures insulin response over time to a certain amount of glucose, will give you an accurate idea of whether you’re insulin resistant, however these tests are expensive and fairly hard to obtain. A Kraft Test might be a useful way to see if your are becoming insulin resistant even if your glucose levels are keeping up, for now. Whether or not your blood glucose levels rise or decrease in response to a high protein meal with no carbohydrate is also a useful way to understand if you are insulin resistant. Someone who is metabolically healthy will release glucagon and insulin in response to protein as it is metabolised to maintain a stable glucose level. Someone who is insulin resistant may not produce adequate insulin to counteract the glucagon released by the liver and hence they may see their blood glucose levels rise. If you find your glucose levels do rise significantly response to protein, it may be a sign that you need to slow down a little on the protein (or at least limit processed protein powders and opt for whole food sources of protein which are harder to overeat). Realistically though, unless you’re severely insulin resistant, have Type 1 Diabetes or are using therapeutic ketosis to manage a chronic health condition such as cancer, epilepsy, alzheimers or dementia, most people don’t need to micromanage their protein intake if they are eating a range of unprocessed whole foods. Your ability to handle protein may improve with time as your insulin resistance improves or you build a bit more muscle mass. Actively avoiding protein to minimise insulin may be counterproductive in the long term if it leads to loss of lean body mass. test strips can be expensive, especially if not covered by insurance. Beyond testing your blood glucose and / or ketone levels, there are a wide range of other indicators that you may be insulin resistant and may need a higher fat dietary approach. I have prepared this multiple choice survey to help people better understand which dietary approach might be ideal for them based on their situation and goals. You may be insulin resistant and / or benefit from a higher fat diet if you answer yes to most of these of these questions. If you answer no to most of these questions then you may do better if you focus on nutrient dense foods rather than more fat. Do you have a chronic health condition such as cancer, epilepsy, dementia, Alzheimer’s, Parkinson’s, severe insulin resistance or traumatic brain injury? Is your HbA1c greater than 6.4%? Is your fasting glucose greater than 7.0 mmol/L? Is your post meal glucose level greater than 11.0mmol/L or 200 mg/dL? Is your triglyceride:HDL ratio greater than 3.0? Are your triglycerides greater than 1.1mmol/L or 100mg/dL? Are your blood ketone levels less than 0.3mmol/L? Is your fasting insulin greater than 20 uIU/mL or 120 pmol/L? Is your C-reactive protein greater than 1.0 mg/dL? Does your blood glucose level rise significantlyafter eating a large protein only meal? Do you have a big hard belly (fat stored around the organs , ot on the surface)? can I take my insulin levels to zero? You cannot eliminate your need for insulin by eating a 100% fat diet, or even not eating at all. Back in the 70s Dr Richard Bernstein worked out by self experimentation that people with Type 1 Diabetes require both basal and bolus insulin. Basal insulin is required, regardless of food intake, to stop the body from breaking down its own lean body mass. Bolus insulin is required to metabolise the food eaten. Someone on a typical western diet has about a 50:50 ratio of basal to bolus insulin. Someone on a low carb diet will require less insulin, however 80% of their insulin dose required as basal insulin and the remaining 20% for their food. While the body typically doesn’t secrete insulin in response to fat, and appetite is often reduced on a high fat diet, if we force an energy excess with high levels of processed fats there will always be enough basal insulin circulating in the blood to remove the excess energy to our fat stores. Someone with Type 1 will modify their insulin sensitivity factor in their insulin pump to match their insulin sensitivity to optimise their blood glucose control. People without Type 1 Diabetes can change their insulin sensitivity (and hence require less insulin) by, amongst other things, being exposed to less insulin and improving our level of lean body mass (muscle) and mitochondrial function. It is important to ensure your diet has adequate protein to build muscle as well as exercising that muscle to make sure our body is well trained and efficient at using that energy. Having well trained lean muscle mass is critical to glucose disposal and insulin action and thus reducing overall insulin levels. In addition to avoiding foods that quickly raise our blood glucose levels, we need to train our body to dispose of the glucose effectively and efficiently with less reliance on large amounts of insulin through building lean body mass. This is achieved by (amongst other things like sleep, sunlight, reduced stress etc) eating nutrient dense foods that power up the mitochondria to enable us to burn the energy efficiently. so just tell me what to eat! I have prepared the table below to guide people to the most optimal foods based on their blood glucose levels and current level of insulin resistance and whether you need to lose weight (based on your waist to height ratio). There’s no nutrient poor processed grains or added sugars in any of these lists. The therapeutic ketosis foods have higher levels of added fat. The nutrient dense weight loss foods contain more lean proteins and non-starchy veggies and less added fat. Someone with poorly controlled Type 2 Diabetes may start out on a high fat ketogenic approach (say 2:1 fat to protein by weight), in time they should be able to progressively ‘level up’ to more nutrient dense foods as their insulin sensitivity improves and they find their blood glucose levels can tolerate it. Someone who has long standing diabetes or who has Type 1 Diabetes may settle on a 1:1 for maintenance. Someone who becomes more insulin sensitive may be able to cut their dietary fat down even more as they are more easily able to release fat from their body fat stores. Even if someone wants to lose weight got down to a 1:0.5 protein to fat ratio by weight the majority of their energy is still coming from fat, they’re just given their body a better chance of needing to use dietary fat. I hope this helps you find the optimal approach for you. I would love to hear how it goes. So what did Steve Phinney eat during his stay?? On my last blood test my A1C was 5.5% and my fasting glucose was 89 mgs/dl. H1A1c relates to average glucose not fasting glucose. Very thorough piece – thanks much! Great piece. Good information. One question: you don’t highlight fasting insulin level as a way to see if you are IR. I’m curious why. I see you do include it in your list of questions. Fasting insulin is useful but it measures your metabolism at rest rather than under load like the other tests. If you are over weight, insulin resistant, low carb and high fat and not loosing weight and know that you do loose weight when fat intake is lower as well as low carb (LCLF), then what would that mean? Losing weight always means more body fat is being used and less dietary fat. 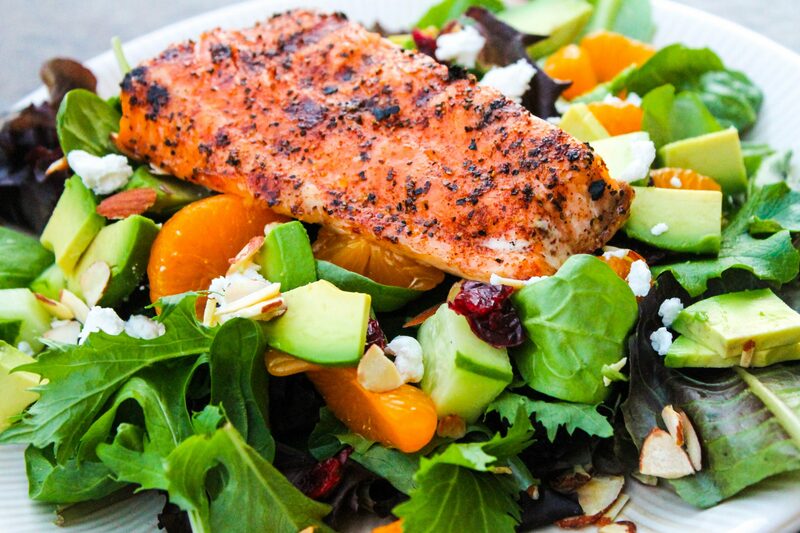 See if you can drop your dietary fat without going insane with hunger. So if I am insulin sensitive and fat adapted and have plateaued in my weight loss and only have a few pounds left to go you are saying to cut back on the fat. So what macro would I increase? Thank you for providing a deeper look on ketone values and how they may change over time. I needed that reminder, as I check my levels to stay on course and keep inflammation minimized. Lower ketone levels can cause anxiety if you track everyday for over 2 years. Your insights are right on and as one becomes underweight, not having enough body fat to use becomes a factor in ketone production levels. Therefore, for me, since I have struggled in LCHF diet and scored well with LFLC, then the marker may be to start with the LFLC and then after weight loss is maintained to slowly add fat back into the equation and see how well the body responds? Because I have heard different pieces of science on adding fat to an already insulin resistant body. Get’s a bit confusing on how to find best balance. “High Fat” is a relative term, is it not? Thanks from someone who has plateued for 4 months and and wants to lose this darned visceral fat. I’ve worked out a lot of what you speak of but by including 3 marine meals per week and 3 fish oil caps per day and some thiamine, things are slowly changing. Is there a calorie level that is too low for an insulin-resistant obese person focusing on get and lean protein who also fasts 2-3 days a week? People are always talking about preventing your body from going into “starvation mode”. Also, if you are severely insulin resistant, does that prevent (or make it harder for) your body from accessing your stored fat? If so, what can be done about this? It seems more that chronic energy restriction especially with highly insulinogenic foods may lead to ‘starvation mode’. It’s also important to get adequate protein and other nutrients across the week. Make sure you understand if you are really IR to see if you should be focusing on more dietary fat or less. Once you are insulin sensitive you can probably drop back on the added fat until you reach your goal. Thank you for all your great information. I’m a bit confused. I’m a small (5′ 0″) menopausal woman. Current weight around 150. I’m assuming to lose weight, I’ll need to decrease dietary fat, but then to go too high on the protein is also a problem. In order to lose weight I would have to keepyou calories around 1000, if I’m lucky. Not quite sure where to make adjustments. Currently not exercising due to a back injury. Have you tested your blood glucose levels at all? Do you know, based on this post, whether you might be insulin resistant? When I have tested, it has been normal. Fasting insulin levels also normal. Years ago, while eating the SAdiet, I would get severe hypoglycemia (40s) with corresponding insulin levels near 300. I guess that means something. Hi Marty. Thanks again for your feedback. Just an FYI, I tested my fasting bg this morning and it was 63. So, based on the links you sent, if I stick with the higher NP foods and perhaps back off on the high fat dairy and nuts, I’ll be on the right track. Thanks again. Sounds like a good plan. Let us know how you go. I have one other person that has asked for coaching. Ping me on Facebook if you want to discuss. I suspect PIR, your thoughts? and if so do you support the 150 g carbs for 3 days to resolve? Really need some insight on this. Thanks for your help, GREAT site! As an information addict and wanting to learn so much more on the KETO way and to lose 60 pounds at age 48; I am so impressed with this article. There is so much here that I don’t quite understand as it has only been 4 weeks that I have been studying up. I started fasting for 16 hours (8pm-12pm) and will see how this goes with a very low carb – moderate protein – and a good portion of vegetables being careful over the starchy vegetables. I AM SUPER IMPRESSED WITH YOUR RESPONSE RATE.